This question was a miss! 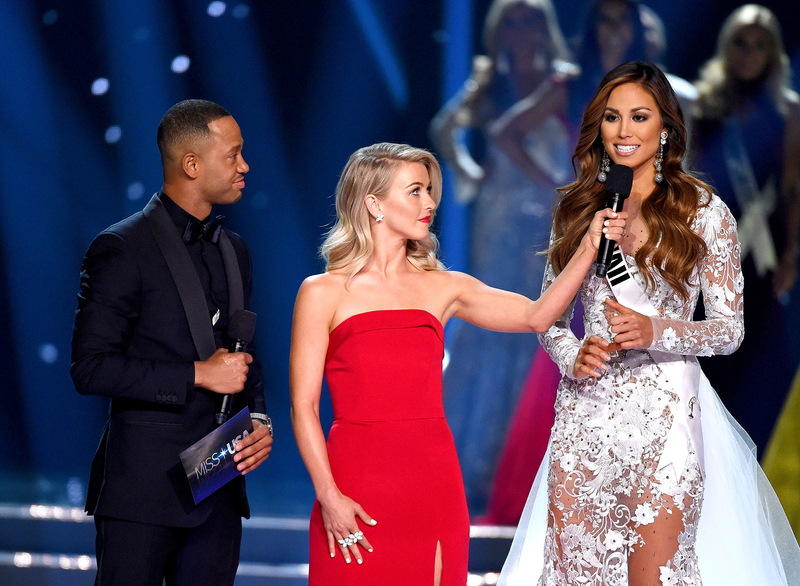 The audience — and the internet — was outraged after a 2016 Miss USA contestant was asked a pointedly political question during the Q&A session of the pageant. Miss Hawaii Chelsea Hardin was directly asked her presidential pick by judge Laura Brown (with pageant officials later noting that the question was written by the Miss USA organization). “With Hillary Clinton expected to surpass the delegate count needed to win the Democratic party nomination, my question to you is: If the election were held tomorrow, would you vote Hillary Clinton or Donald Trump for president, and why would you chose one over the other?” Brown asked. Many viewers took to Twitter to argue that it was wrong to publicly ask a contestant who she’s voting for. Many commended Miss Hawaii for handling the tricky question with grace and poise. See the reactions below.